A study by Ong et al (6) has highlighted the importance of coronary spasm as a cause of recurrent angina post-PCI. 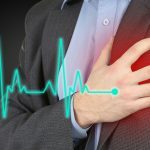 They demonstrated that enhanced coronary vasoconstriction represents an alternative explanation for angina in these patients, similar to findings in the ACOVA study in stable angina patients. (7)The authors assessed 1,285 patients with angiographically unobstructed coronaries (no stenosis >50 %) who underwent intracoronary acetylcholine provocation testing (ACH-test). 104 consecutive patients (42 female (40 %), mean age 64 ± 11 years) with previous stent implantation due to obstructive CAD, ongoing or recurrent exertional angina and no ISR were assessed with Ach provocation. In fifty-one patients (49 %) ACH-test elicited epicardial coronary artery spasm (>75 % diameter reduction with reproduction of the patient’s symptoms) and microvascular spasm (reproduction of symptoms, ischemic ECG-changes and no epicardial vasoconstriction) was seen in 18 patients (17 %). The ACH-test was uneventful in the remaining 35 patients (34 %). Epicardial spasm in patients with previous PCI was usually distal and diffuse (31/51, 61 %, p < 0.01). Epicardial and microvascular coronary spasm are frequently found in patients with stable angina after successful PCI. Intracoronary ACh test may be useful in these patients to determine the cause of Post-PCI angina and initiate appropriate medical treatment. Ong’s findings are of clinical importance as they showed that epicardial and/or microvascular coronary spam is likely to represent a frequent cause for angina in patients with previous PCI in whom ISR is not present.